Built in 1765 by British Colonel Roger Morris as a wedding present for his wife Mary Philipse Morris, the Morris-Jumel Mansion embodies elegance and love in one beautiful structure. 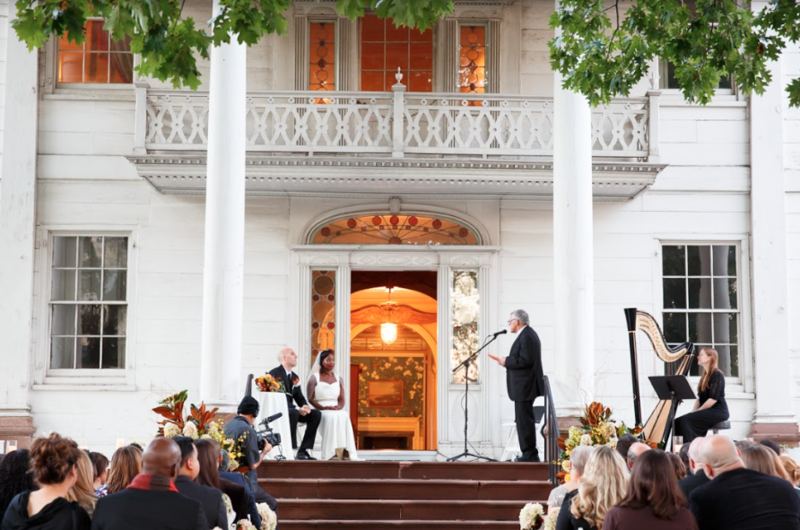 Ceremonies take place on our grand portico embellished Georgian-Palladian styled porch, or in our manicured garden. Your ceremony will be even more memorable when you hold it at Manhattan’s oldest house. We can accommodate weddings of up to 150 guests. Vice President Aaron Burr married the mansion’s longest resident, Eliza Jumel, here in 1833.